The Garden Route is the stretch of land that goes from Cape Town all the way up to Port Elizabeth. It is known for its scenery along with all the activity opportunities on the way. We started our trip late Wednesday morning and drove four hours to our first stop, Mossel Bay. Because we got there relatively late in the afternoon we did not do much other than check out the town and the beach. We stayed at a hostel called Santos Express, which is actually an old train that has been stripped and made into a hostel. For dinner we ate at a braai restaurant called Kaai 4, where we all got meat platters and had a great meal. Thursday was Heritage Day in South Africa, which is the reason we did not have school. We woke up on Heritage Day and drove to Wilderness, a town about 45 minutes east of Mossel Bay. In Wilderness, we rented canoes to go “kloofing” for the day. Kloofing is an African term for canyoning, which is pretty much canoeing up a river canyon, cliff jumping, swimming, etc. We canoed up the Touws River for 45 to the Cappuccino Canyon where we hiked to a swimming hole where we swam and cliff jumped. When we finished our kloofing trip, we drove to Sedgefield and surfed a little bit at sundown at the beach outside our hostel, Afrovibe. For dinner we celebrated Heritage Day, which is also National Braai Day by having a braai at the hostel. Friday morning I woke up at sunrise and drove to Victoria Bay to surf. Victoria Bay is a nice little beach community that has a great right point break. When done surfing, I went back to the hostel to pick people up and drive to Jeffreys Bay, the surfing mecca of South Africa. It was a two and a half hour drive from Sedgefield and once we got there we went straight to SuperTubes, the location of the Billabong Pro, to check out the waves. I got in the water but unfortunately slashed my foot open on a mussel and immediately got out of the water in fear of white sharks after seeing what happened to Mick Fanning literally at the same place. The cut on my foot ended the surfing aspect of the trip for me and I was unable to surf J Bay, which was what I was most excited about. Saturday we woke up and went to Bloukrans Bridge to bungee jump, which is the highest bungee bridge in the world at 216 meters. We all jumped and enjoyed the great views from the bridge. in the afternoon we went to an elephant park where we played with the elephants for a little bit before driving to Knysna for the night. We stayed at an Airbnb at Knysna before waking up early Sunday to make the long trip back. All of the activities on the Garden Route were great such as surfing, bungee, and kloofing, but the drives we had were just as great. It seemed like we drove through different seasons and countries as there were so many different beautiful landscapes on the way from alpine forests to mountains to beaches to fields. The views were amazing and always changing. Victoria Falls, also known as Mosi-oa-Tunya, is a waterfall located in South Africa on the Zambezi River. It is truly one of the most spectacular natural wonders of the world. Measuring up to 107 meters in height and dropping an average of 550,000 cubic meters of water every minute, the thunder from the falling water is loud, expressing its power to all of those in the surrounding area. The waterfall is 1,708 meters wide, making it the largest curtain of water in the world. The falls has been declared a National Park and a World Heritage Site, which has helped preserve the area from excessive commercialization or destruction. We visited Victoria Falls during September, which is when the dry season begins to take effect. The dry season lasts until January and during this time the islets on the crest become wider and more numerous. When flood season comes around, it is impossible to see the foot of the falls and most of its face. The spray from the falls rises to a height of over 300 meters and sometimes as high as 600 meters. Gorge Swing – Victoria Falls from Mack Prioleau on Vimeo. While visiting the falls, we went to the Gorge Swing which is suspended across the gorge. It is about a 70 meter free fall into a 85 meter long pendulum swing. It was an incredible adrenaline rush and offered a unique perspective of the river and the gorge. The surfing in Cape Town, South Africa has been incredible. There are plenty of great spots to go in the area, including Long Beach, Witsands, Dunes, and Muizenberg. It is a great variety of conditions, from coves with small swells to large beaches with massive waves. While the water can be icy, it does not discourage anyone from throwing on a wetsuit and getting out in the water. Long Beach My favorite place so far has been Long Beach in Kommetjie. The small town is located just outside Cape Town just down the Cape Peninsula on the west coast. Long Beach is an incredibly friendly area and it is a very popular spot for surfers in the area. It breaks all year round to both the left and right making it the perfect place for both natural and goofy footers. Dunes Dunes is a little bit more challenging location and takes some effort to get too. After a 40-minute drive from the city, you will need to hike down a long stretch of beach, which will take about another 30 minutes. But it is certainly worth the trip if you get out there on a good surf day. With a south-easterly wind, you should expect to see six to eight foot waves with world-class tubes. Muizenberg If you are looking to learn to surf or simply looking for a calmer ride then Muizenberg is the place to be. The waves are gentle, making it a great place to learn or brush up on your skills. Muizenberg is best when there is a north-westerly wind. When it is time for a break, there are plenty of restaurants and coffee shops nearby, making this a fun place to spend the day. Witsands Witsands has a consistent surf that is ideal during an offshore wind from the northeast. The beach breaks both right and left, making this a fun surf for all riders. This location is also rarely crowded, so it is nice to be able to get a little space and not worry about other riders. It is important to mention, however, that strong rip currents can make this a very dangerous surfing location. We went shark diving at the infamous Seal Island in False Bay. The island is a small land mass off the northern beaches of False Bay near Cape Town and derives its name from the large number of Cape Fur Seals that occupy the area. There are well over 60,000 seals on and around this land mass. It was truly an incredible sight to take in. The seals attract their main predator, the great white shark, to the area making this an amazing place to shark dive. This location has attracted many television shows and documentaries to film the great white sharks as it is a great place to observe the interactions between these animals and the attacks by the great white sharks. The water surrounding Seal Island provides an amazing opportunity to witness these sharks in action. Having the opportunity to go underwater and watch these animals in their natural habitat was surreal. It provides an amazing rush to be face to face with these enormous sharks. Check out some video from the shark dive and get a look at the sharks from underwater. Shark Dive in South Africa from Mack Prioleau on Vimeo. Wall Street continues to drop at an unnerving rate as traders unload stocks amid concerns of the struggling global economy. There has been a massive selloff of Chinese stocks, as it’s economy has faltered, leaving the government struggling to correct the problem. China’s struggles, in addition to the Greek debt crisis, has now begun to create problems for people around the world, including the United States. As mentioned in this article, The Dow Jones Industrial Average (^DJI) tumbled 302.7 points, or 1.8%, to 16158.4, the S&P 500 (^GSPC) dropped 43.4 points, or 2.1%, to 1929.6, and the Nasdaq Composite (^IXIC) fell 103 points, or 2.2%, to 4600.6. Furthermore, China’s volatile Shanghai Composite (000001.SS) fell 8.5%, wiping out its gains for the year, while Japan’s Nikkei 225 (^N225) took a hit of 4.6%. Traders have begun to position their investments in safer assets, such as the U.S. 10-year Treasury bond. The yield of this treasury bond has already fallen 0.06 percentage point to 1.988%, because when traders bid-up the asset, the yields of these assets begin to fall. While these economic uncertainties have created a great deal of panic, many see a sharp drop in the market as a great opportunity for investment. When there is a widespread negative outlook of the economy, great stocks are often undeserving punished as well. Peter Kenny, chief market strategist at Clearpool Group, is one of many investors who has remained positive through Wall Street’s tumble, stating that he remains positive on U.S. equities overall. “Great stocks get sold, and in some cases punished, not because of their lack of value but simply because the trend line for the broader market has faltered,” he wrote in a message to clients. The current landscape has created an opportunity to purchase good stocks at an even better value, if you are willing to ride out this economic storm. Over the last several years, the United States economy has experienced steady growth. While growth has been slow, it is evident that the American economy is making positive improvements. Since President Obama’s first year in office, the unemployment rate has gone down from 10 percent to 5.3 percent. 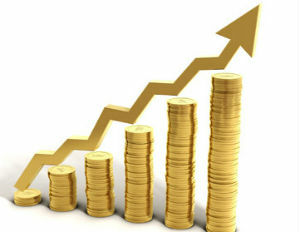 Gross domestic product expanded at a rate of 2.5 percent. Furthermore, the federal deficit is estimated to be $486 billion this year, which is about a third of deficit total in 2009. However, as this article points out, if you follow the current political discussion, you would be likely to believe the economy is in horrible shape. Much of the discussion has centered around stagnant wage growth and growing income inequality. So why is there so much negative rhetoric surrounding the economy when we have clearly seen positive growth and encouraging signs? This election cycle has no incumbent president running for re-election. The incumbent party has the difficult task of highlighting the successes of the party, but at the same time not appearing to be complacent. Therefore, the are more likely to highlight the weakness of the current policies and the president. In addition, the opposition party will focus on pushing the belief that the economy is in turmoil — as a result of the current president’s policies — and presenting their ideas for change. The views of the United States economy are, undoubtedly, affected by the current outlook of the world economy as well. European nations are currently unstable, in large part due to the debt crisis in Greece. The future of the Chinese economy remains uncertain, as the currency has plunged and growth has slowed. Many are worried the troubles in China will begin to negatively impact the United States economy. Lastly, the growth of the economy has not translated into any positive benefits for most Americans. Private investment has remained sluggish as companies struggle to generate more revenue for the top line. The investments are the main driver of productivity and as a result, wage growth. Therefore, wages have remained stagnant for many Americans leading to a negative outlook on the economy by many Americans. Over the remainder of this election cycle, we will be sure to continue hearing about the many problems of the United States economy. Each presidential hopeful will continue to address and exploit these problems and introduce their plans and policies to address the concerns. However, it is important to understand that the economy is currently moving on a positive path while listening to these plans. If you would like to learn more about the economic plans for some of the top presidential candidates, check out this website. Google has recently announced that it will be reorganizing into a holding company, taking on the name Alphabet. The company known as “Google” will now be one of the company companies within the broader organization, as there are numerous projects under the alphabet umbrella. Over the past several years, Google has expanded far beyond its initial business of Internet search and online advertising. Reorganizing the structure of the company will allow some of its more experimental and far-reaching to have more autonomy moving forward. So what exactly is Alphabet comprised of? Under the plan announced yesterday, in addition to the core Google business (Internet search, mapping, and Youtube), there will be the separately managed entities of Google Fiber, Next, and Google Ventures (the investment business). There will be slight shifts in the management of Alphabet and Google, with CEO Larry Page transitioning to CEO of Alphabet and co-founder Sergey Brin serving as president. Sundar Pichai, who has been a longtime executive with the company, will become the CEO of the core Google Business. But overall, not much of the responsibilities will change from this perspective, as Pichai has been overseeing much of Google’s core business for years now. For those with investments in Google as the publicly-traded entity, all shares with automatically be converted into the same number of shares of Alphabet. The two class shares — GOOGL and GOOG — will continued to trade on Nasdaq under the same ticker name as well. The Trans-Pacific Trade Partnership hit another roadblock this past week, as the United States and 11 other Pacific nations failed to reach a final agreement. The partnership, which would create the largest regional trade agreement ever, has been met with a great deal of complications. The trade partnership has been in the works for over a decade, with America taking the lead back in 2009. The Trans-Pacific agreement, which involves so many countries, each with their own set of priorities, has proven to be even more complicated than anyone had originally thought. The representatives working on the deal, however, are still optimistic and believe they are closing the gaps, meaning a final agreement could be reached fairly soon. Final agreements were reached in a few key areas this past week, including broad environmental protections for some of the most sensitive, diverse and threatened ecosystems on Earth. This had been one of the more problematic sections of the agreement. In addition, agreements on how to label exports with distinct “geographic indications” and a code of conduct and rules against conflicts of interest for arbitrators who would serve on extrajudicial tribunals to hear complaints from companies about whether their investments were unfairly damaged by government actions. Representatives will now be returning to their home countries to iron out the remainder of the agreement before they reconvene again. In order for the agreements to succeed, all countries involved will need to find ways to narrow the differences that remain. The failure to not finalize the deal in its entirety means that the next round of negotiations will now likely force presidential candidates to voice their opinion on the agreement, a topic some of been avoiding. Republican candidates are likely to support the agreement but high profile democratic candidates, particularly Hillary Clinton, have shied away from taking a stance. The progress made this past week is promising, as the countries have been able to keep the momentum going on this agreement. Although the longer they continue to go without reaching an agreement, the chances of the plan unraveling may increase. To learn more about the Trans-Pacific Agreement, check out this CNBC article.